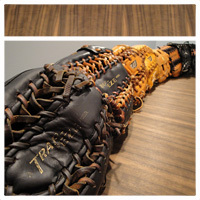 WWW.GLOVE-WORKS.COM BASEBALL GLOVE COLLECTOR FORUM • View topic - Not many Vinci lovers here? Post subject: Not many Vinci lovers here? Doesnt seem to be too much love for Vinci on the boards here. Why so? Post subject: Re: Not many Vinci lovers here? Mostly traditionalists who stick to the big names. For the most part, they don't stray. I perceive a bit of a pack mentality on here as well. I don't agree.. Plenty of Rolin and Glovesmith fans here and they're certainly not mainstream.. I love them both, but I've been an A2000 fan for almost 20 years, so that's my vice..
We love Vinci at our house. My son's catcher's mitt is a SW-79M, he also has a first baseman's mitt, and my JV-26-M that he acquired from me as his fielding glove. He's getting ready to pull the trigger on a new custom as well. His little sister is trading up to her first big girl glove for Pinto ball this fall. I used a Wilson's catcher's mitt in college and a Heart of the Hide Gold Glove Rawlings for 20+ years as my fielding gloves but now use a Vinci for softball and a custom Nokona when I'm coaching baseball. Most people haven't heard about these smaller brands but when they handle the gloves and really compare them to the mass market gloves they come away impressed. I think there is a good amount of variety on the forum, however and not surprisingly, most of the discussion is around Rawlings, Wilson, Mizuno as they have the most market share, so more people buying/using = more people talking. No different than if you had a preference for 1970 AMC AMX compared to a 1969 Camaro, you will find more info/website about Camaros. Personally I have found that all the high quality gloves from all the vendors are nice, it's just really personal preference. 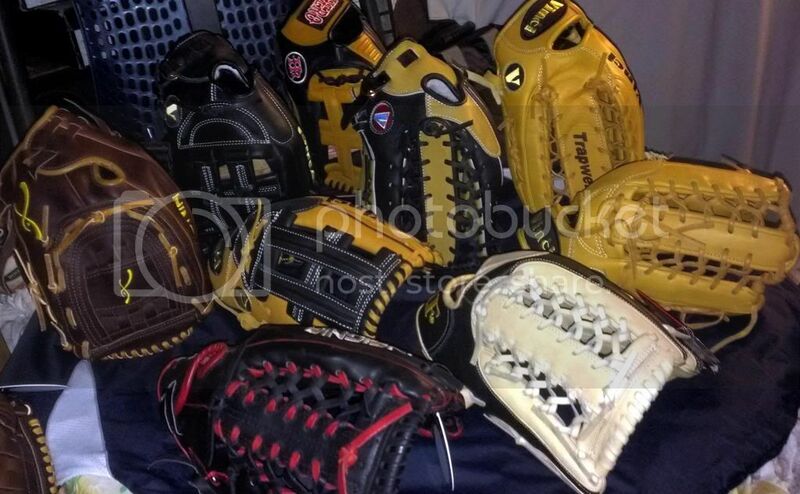 For me Mizuno and Rawlings just fit my hand better than Wilson, and my son likes Glovesmith. Easton is another glove maker (and a big company to boot) that does not get much attention either, even though their EPG and E-Pro series are very nice gloves. The good side of that is that you can get some fantastic deals on them. As long as we all play and share our information we all win. That you would even write something like this is completely laughable! What series of glove was this that you tried? Vince offers several series of gloves at different price points & of different quality levels, all of which are better than current production Gold Gloves. I have only tried one Vinci glove, and granted, it was the cheapest of all their offerings. But I would say it was only on par with Gold Gloves. I wasn't crazy about it, and got rid of it. I have no doubt that their higher end stuff has great leather and construction, but for me...well, I just don't think they look that great, in general. Just my 2 cents. I would ask you the same thing. What series did you try? I had the RV 1957. Don't get me wrong - it wasn't a bad glove. But it was not the same quality leather as a HOH. One thing I'll give it - I think I remember the lining being a bit nicer than Rawlings GGs. But the shell leather wasn't special. I hate to say it, but the vinci's just don't look good to me. The quality control doesn't look very tight. Fingers widths, curves, stitching, etc. They seems a little all over the place. I hate that to be the reason but it is. I had a WV32 (kip) for a while and thought it was a decent glove, but not as nice as a HOH from a materials and construction standpoint. Carefull fredder we may upset maverick. Why you always so uptight dude? You seem knowledgable but a total tight nose. Just because you dont agree with something some one says doesnt mean you have to be a smart nose about everything. Not everyone is gonna agree with you and everything you think. Thats the point of threads like this to discuss. 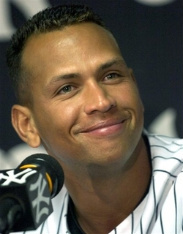 And idk what series it is however you cat tell me all of vincis product line is better than the gold glove line. Its just not realistic. Btw he payed the extra money to get his name embroidered on it and games an a800 over it so clearly he didnt like it either. I do know it was 175 bucks though.